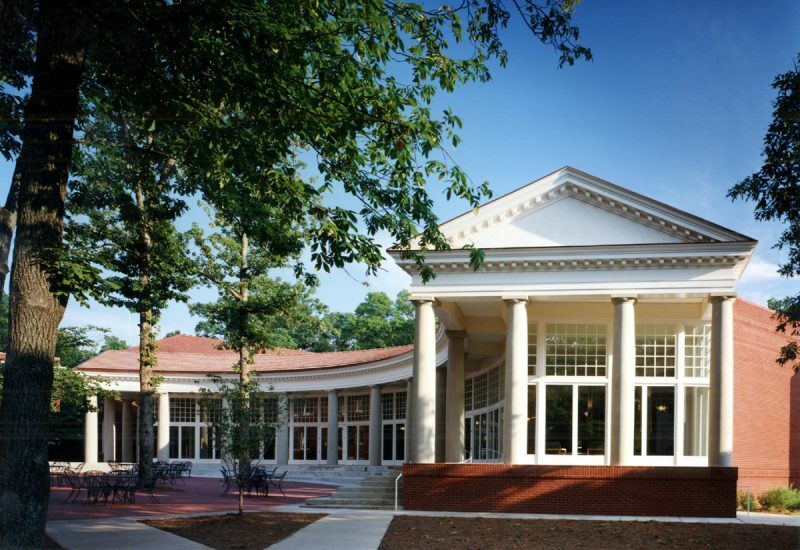 The 11,500-sf Trexler Student Center serves as the physical and spiritual heart of student life on the Queens campus. 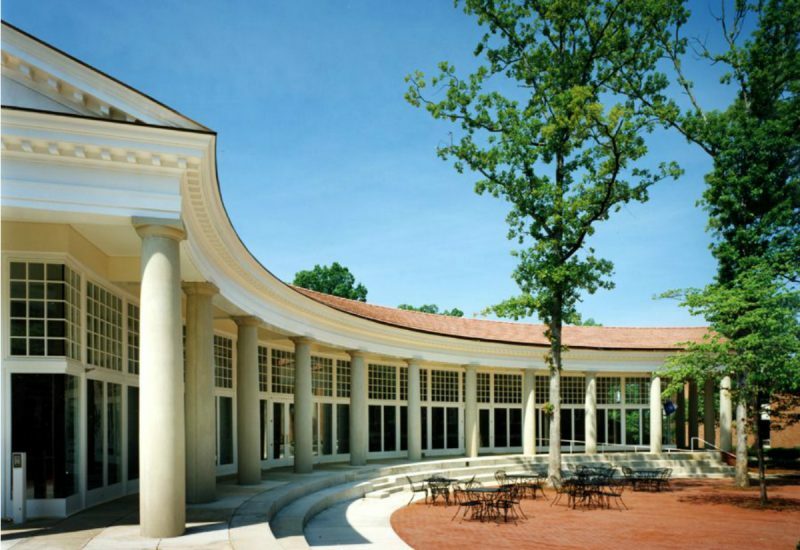 It is located as an infill structure within the campus fabric, to function with the existing Morrison Dining Hall. 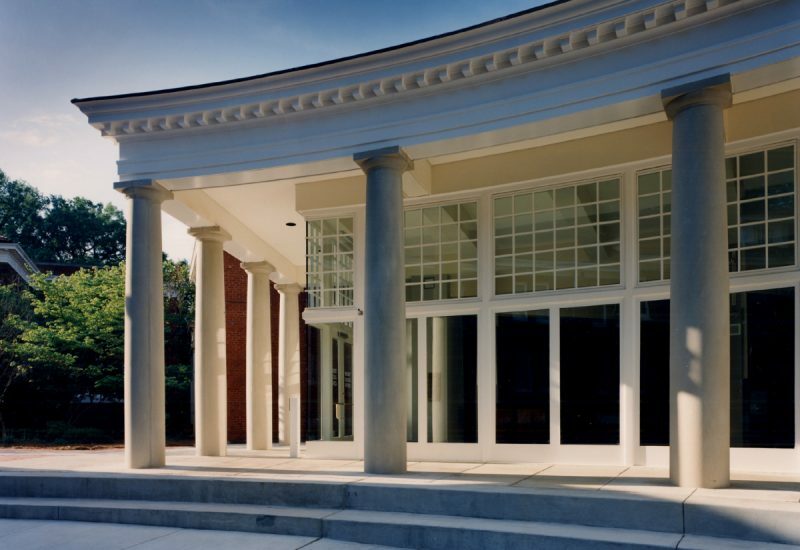 The curved building configuration focuses the Center’s two main approach façades on the student residence quad and on the small “Diana” courtyard, Queen’s academic center, while forming its own semicircular courtyard for outdoor student activities. 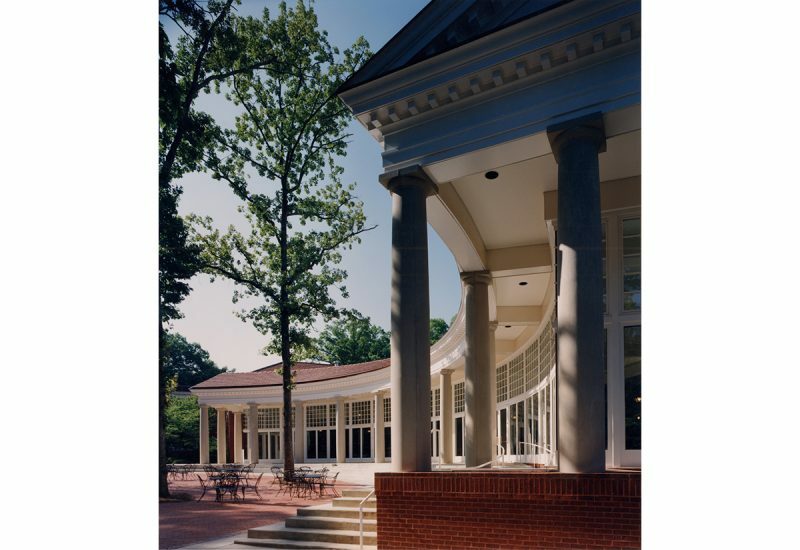 Trexler’s design responds to the campus’ existing architectural context with a brick facade that matches existing structures, cast limestone columns, and terra-cotta roof tile, repeating a recurring historic theme. 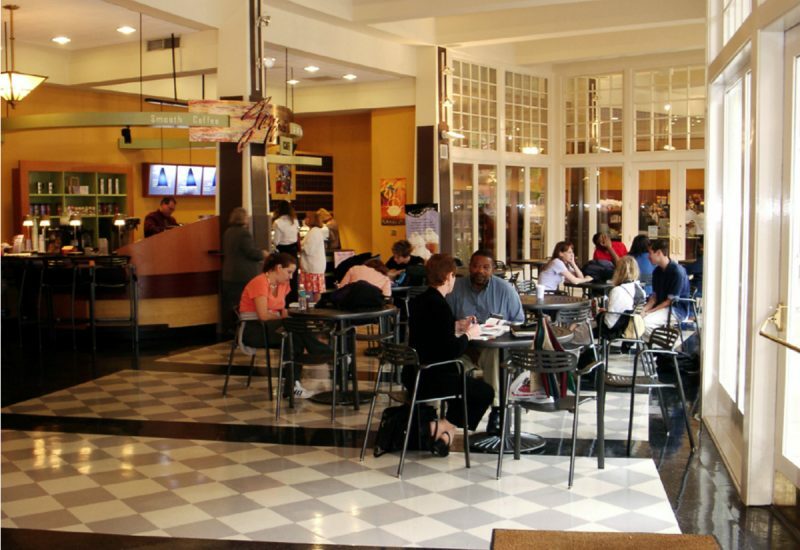 A subsequent interior renovation provided for a new Queens Student Bookstore and Jazzman Café.